Trying to locate specific equipment? Log in and place a free ad in our Wanted to Buy category. Looking for similar to a Sony PMW-400 or Panasonic HPX600. 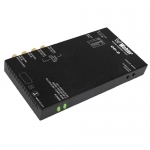 Needs to record at 50-MBS and pref with proxy file over wi-fi feature. Looking for a Cinetech DARIO DOLLY or similar. 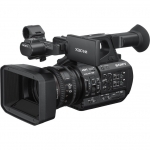 Looking for a used Sony XDCA-FS7 - please let me know if you have one. Looking for a 1" Sony machine, please let me know if you can assist. We are looking to buy a small set of Cooke S4 mini lenses:- 25mm, 32mm, 50mm,75mm and 100mm T2.8. Sony Digi Beta Player. Just needs to play corrctly I have some old tapes that I need to digitise. Sony BKH-2013 Control Panal for a Sony BVH-2000PS 1" Recorder. Sony HI-8 Player/Recorder in good condition.